In a small saucepan, combine rice flour and milk, whisking well. Set saucepan over medium heat and bring to a simmer, whisking constantly. When mixture has thickened, about 2 minutes longer, add sugar and rosewater and stir. 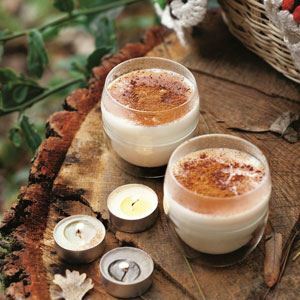 Divide salep between two mugs and garnish with cinnamon and chopped pistachios.